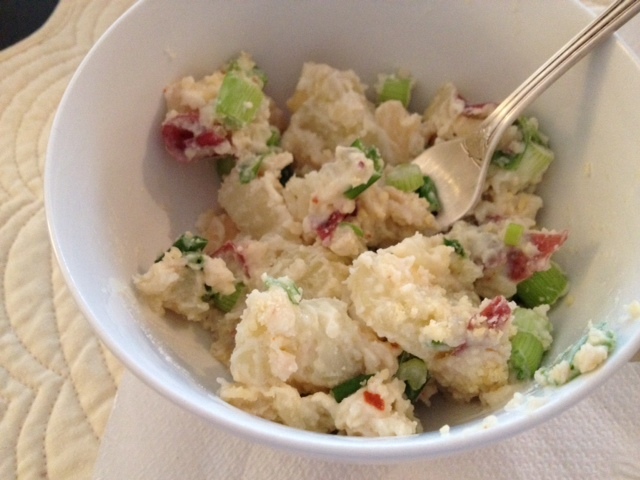 This potato salad makes a great side dish for a spring or summertime barbecue. 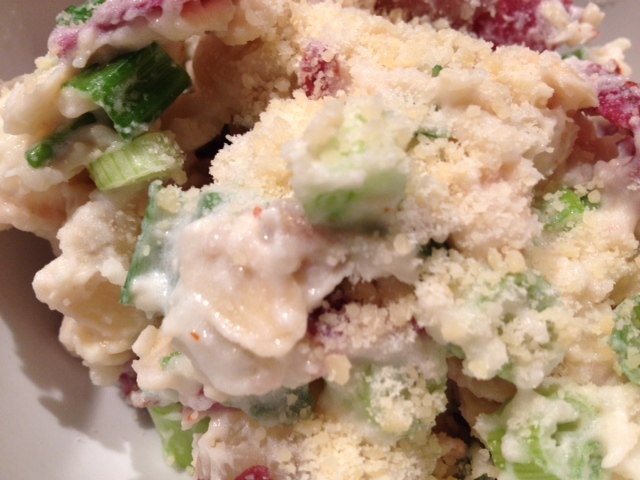 The lemon adds a fresh, tart flavor while the almonds and green onions add a delightful crunch. These potatoes are truly lovely! 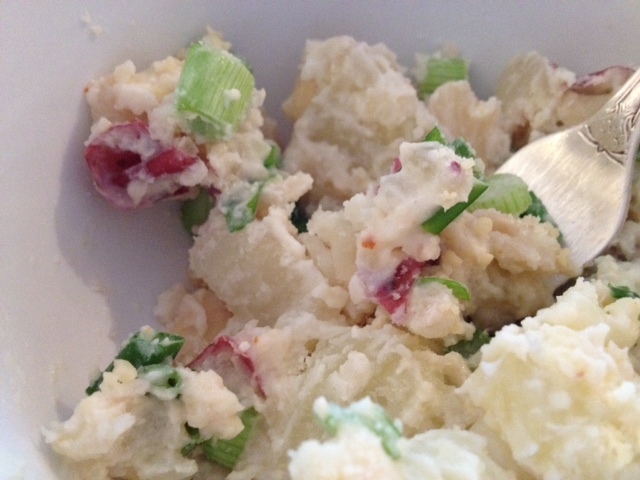 Boil the potatoes in a large pot for about 20-25 minutes until soft and break apart easily with a knife. 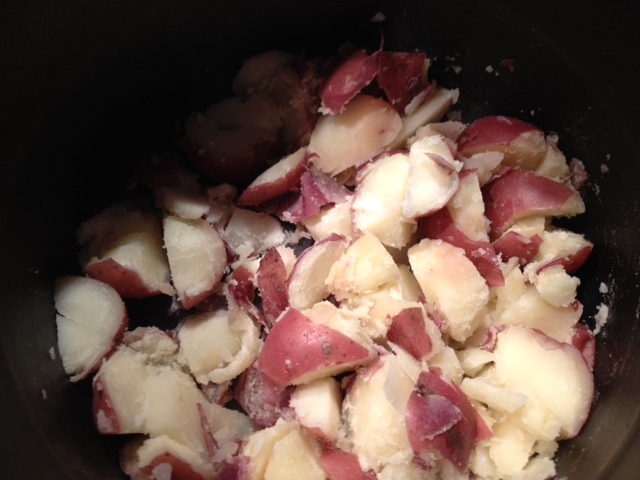 Drain the excess water and return the potatoes to the pot, cutting the potatoes into smaller, rough cut pieces (as shown below.) 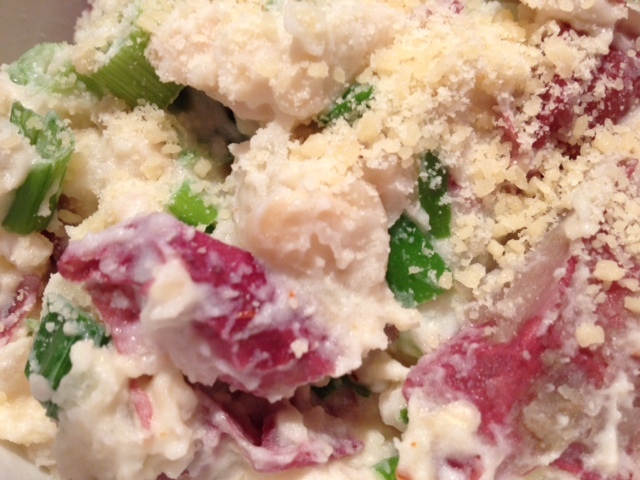 While the potatoes are still hot, add in the almonds, green onions, sour cream, Parmesan cheese, lemon juice, red pepper flakes and a generous dash of garlic salt. Stir well to combine all the ingredients. 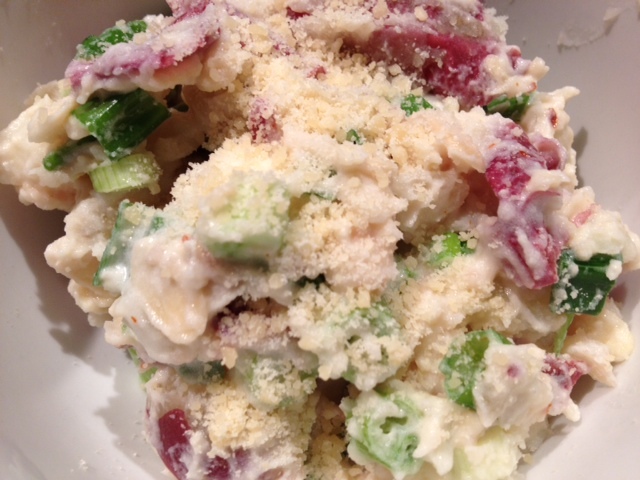 You can serve the potato salad warm or room temperature.